When it comes to musicbusiness we often deal with smaller bands, which need to work very hard for their success without any support from big music labels. Often these musicians deliver more outstanding records than the "big ones" in the genre, because they are doing it with much more passion and creativity. One of those most underrated bands ever is the German melodic hard rock band SHYLOCK. 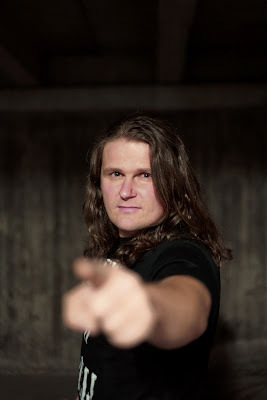 Vocalist Matthias Schenk found the time to talk about his new band-album "Walking Tall", musicbusiness in general and about being just an insider-tip. Find out more in my whole interview! Hi Matthias, how are you? Matthias: Hi Thomas, thank you for asking, I´m really fine and I hope you´re feeling great, too. It´s an honor for me to answer your questions – so just get it on! Let’s talk about the last Shylock-record „Walking Tall“. It was released two months ago. How satisfied are you with the reactions of the press and fans? Matthias: Well, we had a lot of great feedback and tons of reviews so far. The press was quite excited about the new songs, this “new style” and we also had great feedback from our fans. Also we got in touch with new fans that didn’t know that there’s a band called Shylock. That´s the most important thing for me. All in all, I´m really happy. Big compliment to you: I think „Walking Tall“ is your strongest album to date. I rated it with 8 out of ten, but now after hearing it more than twenty times it’s at least an 8.5 out of ten. Where do you get your inspirations from? Matthias: I get my inspirations from special moments in daily life and I can say that real life is my only inspiration, because it tells the best stories. It delivers the greatest emotions to write good songs. When it comes to songwriting, who is most involved and has the most ideas? Matthias: That´s me. I´m writing about 30 songs for a new Shylock-Album, then I´m sending all these ideas to my buddy Hannes and he arranges the best of them. By the way: Hannes and me rock together over 20 years – that´s also a great succes! In my opinion „Walking Tall“ sounds more rough this time. Was it a direct decision? Matthias: Yes, it was a direct decision and we are very happy with the result. Every single song of this album needs this kind of rough sound. I know this album rocks as a good album has to rock and the reactions confirm that. „Anything“ is my favorite Shylock-track in general and could be a big hit. Why you don’t choose it as single? Can we expect a music video from Shylock in the nearer future? I think the promotion of Shylock is not as good as it could be. You are still an insider tip after beeing years in the business. So why is that? Matthias: It’s all a matter of time. We have the technical skills and know how to shoot a video. But we will see if we can find the time to do it. You have to know that we all got our families and jobs, and that´s the reason why our time is short. Are there any plans to bring Shylock back on stage? Is there a story behind the band-name? Matthias: I don´t know the whole story, but Shylock is a character in Shakespeare´s „The merchand of venice“. We´ve heard that name back in 1998 and we decided that it would be a cool name for a band. Shylock is often compared to bands like Bonfire, Shakra, Scorpions or Gotthard. Is this an honor for you or can’t you hear it anymore? Matthias: Just tell me the name of one band that likes to be compared with another band!?! It’s just the curse as an “insider tip” and there are moments you can’t hear it anymore. Which albums/bands are your favorites to date? 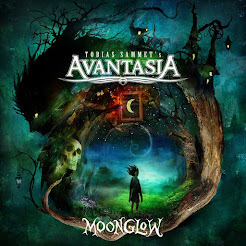 Matthias: I like the new Pretty Maids album and Tobias Sammets new Avantasia ("The Mystery of Time"). This is a big production, a big sound and that´s the reason why he's big in business. Respect! Shylock a melodic hard rock band from Germany. Do you think it is harder to be successful in Germany than in other countries with this style of music? Matthias: No, I think we are one world and there are many different reasons to got big in business. It´s just a matter of the promotion and the liveshows you are able to play. Everybody´s got a video on youtube, but I know it´s more important to play live and to get in touch with the fans. 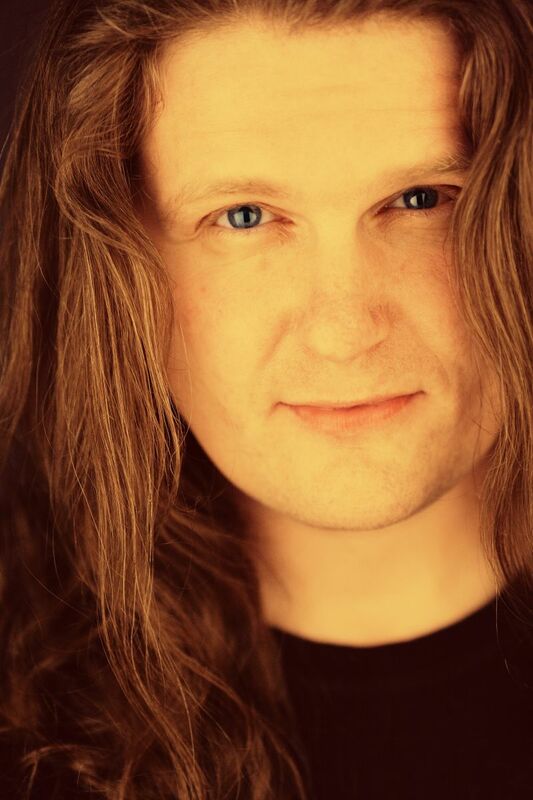 Matthias: We always start to finance the recordings and the production by ourselves. Later on we sell the album and the rights to publish it to the label. So we are our own chefs and we are no slave to time and money. Nowadays the labels don’t have money for big studio recordings, because of the illegal downloads for example. Today you have to manage everything by yourself in order to survive as a band. What do you think about „Kickstarter“ -projects, where fans spend their money to artists, so they can finance an album-recording. Is this a good alternative to music-labels? Matthias: Haha, do the fans really know how expansive a recording is? I’m a bit irritated, because the fans could be fooled by musicians. Musicbusiness has changed a lot in the last ten years. What are your most advantages and dis-advantages in musicbusiness nowadays? Matthias: With the internet you can get in touch with many people – I guess this is really a big advantage. But on the other hand the internet is the biggest killer of the business. We just found our place in the Melodic Rock business and over all not very much changes did happen in the last 10 years in this special category. The sales went down and in our case we don´t have to care too much for it, because we don´t make our money with the music. Matthias: To rock our fans on stage, we miss it much and we´re fighting for this dream cause we know how great that is. Any words to the Shylock-fans out there? Matthias: Hi folks, thank you so much for your support, thanx for all those great reactions and comments by email and your feedback via Facebook. I hope to see you soon! Matthias, thank you for taking the time. Good luck with all your musical activities! Matthias: Hey Thomas, it really was a big pleasure to answer your questions. You are Rock´n´Roll!